Our patients at Richmond Aesthetic Surgery travel to us from all over the mid-Atlantic region and beyond. We hope you find our website a valuable source of information regarding our unique approach to breast surgery, allowing you to discover more about us before choosing a board certified plastic surgeon. In addition to viewing the results of some of our previous patients in our photo gallery, you can learn about the experience of breast surgery at our practice by reading our patient stories. If you are contemplating breast surgery and are from outside of Richmond, Dr. Neil J. Zemmel can perform a “virtual consultation” as a preliminary means of determining your candidacy for breast augmentation, breast lift, or breast revision. This virtual consultation is conducted with the confidential online tool Zwivel™, through which you can communicate with Dr. Zemmel. By sending pictures, asking questions, and providing necessary details, such as your medical history, body type, and personal aesthetic goals, Dr. Zemmel can provide you with procedural information as well as projected surgical fees. If you choose to undergo breast surgery after your virtual consultation, an in-person consultation will be conducted to help ensure your surgery is custom-tailored to best meet your needs and expectations. For patients planning to visit from out of town, our staff is happy to make recommendations for both travel and accommodations. Our offices and operating rooms are located close to a number of lodging options and excellent dining establishments. 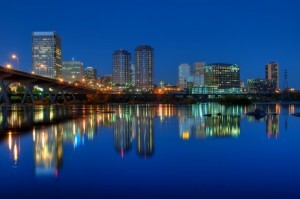 In addition, we are only 15 minutes away from downtown Richmond and 20 minutes away from Richmond International Airport. If you are considering breast surgery and would like to schedule a virtual consultation, or if you are planning a visit to our offices, please contact us today.